The last of the summer monarch butterflies escaped it’s chrysalis today, pictured here climbing up to a suitable branch as it starts to pump up rumpled wings. I’ve not noticed the crazy watermelon-pattern eyes before. 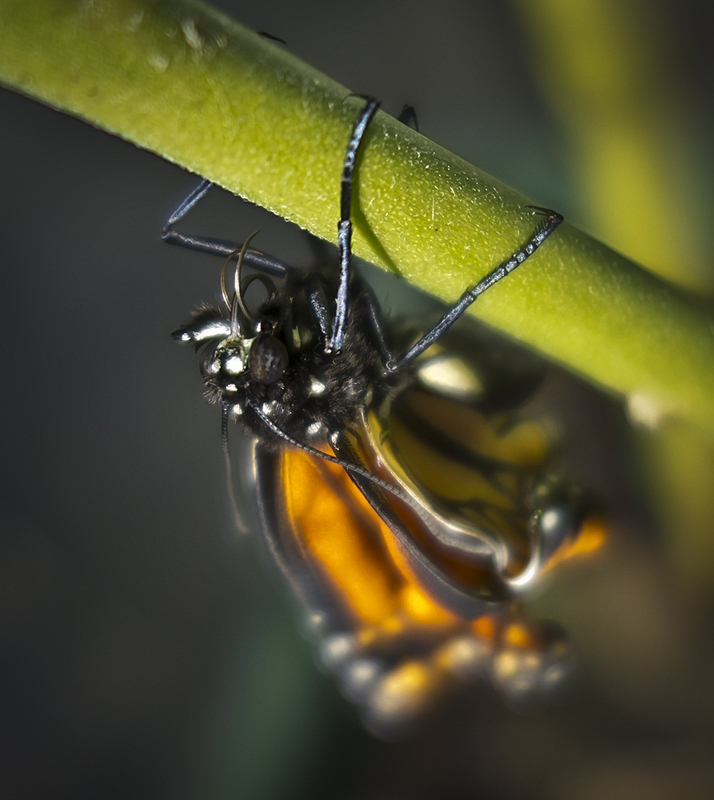 This entry was posted in macro, photography and tagged butterflies, butterfly, eyes, monarch. Bookmark the permalink. ← Warning: Gorilla on stage!